Disclosure: The Best Cherry Pitter post contains affiliate links. With fresh cherry season in full swing, the most important tool you can have on hand is a cherry pitter that gets the job done fast. When you have a boatload of fresh cherries that need to be pitted you don’t have time to struggle with a cherry pitter that doesn’t work well. With the OXO Cherry Pitter I pitted this entire bowl of cherries in about 10 minutes when I was making my Cherry Habanero Jam recipe. 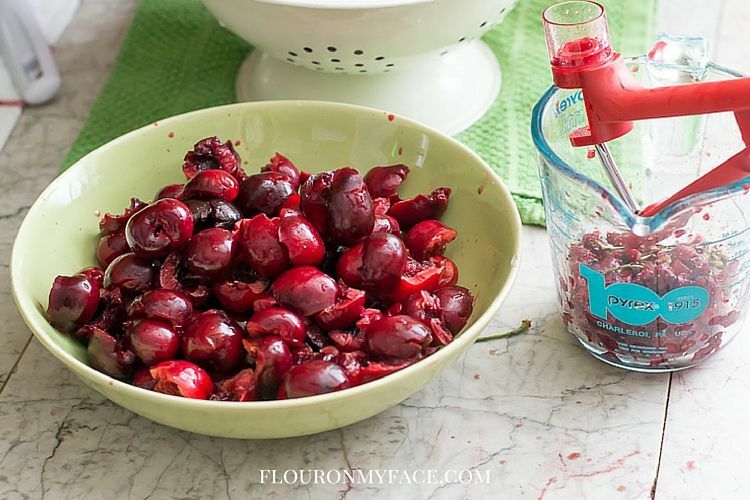 I also used this cherry pitter when I was making this Homemade Cherry Cobbler recipe last year. Last year I bought 3 different cherry pitters before I found one that worked the best. The first two cherry pitters left much to be desired. What I didn’t like about them was that it seemed like it would pit the cherries but when I looked through my bowl of pitted cherries I found way too many cherry pits. The third cherry pitter I bought was the OXO Good Grips Cherry and Olive Pitter (affiliate links). The OXO Good Grips Cherry pitter is a little slower to use. It can be a tight fit when you load larger cherries into the cherry pitter but once you get the feel for it you can pit a big bowl of cherries quickly. What I love about the OXO Good Grips Cherry pitter is that you can actually feel when the cherry pit doesn’t come out of the cherry. Making it very easy to pull open the pitted cherry and remove the stubborn pit. When you need to pit a large number of fresh cherries I recommend the OXO Cherry Pitter. 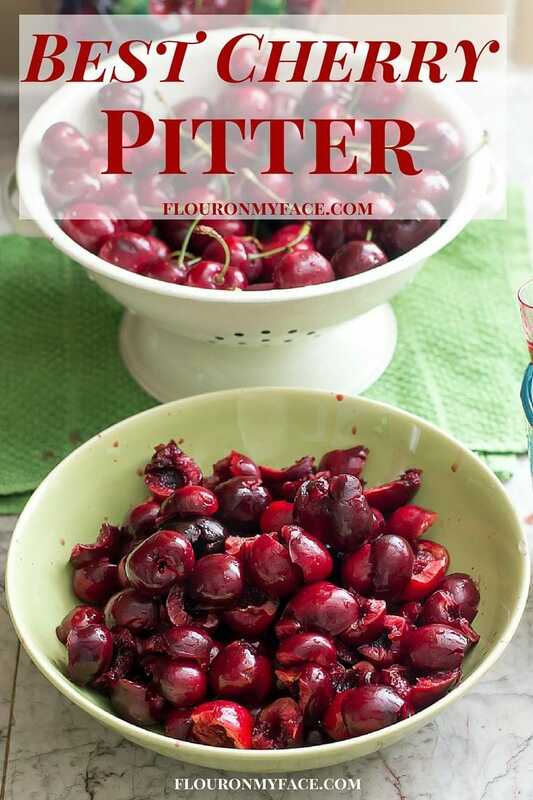 It really works very well and you can pit a lot of cherries in a short amount of time.